As the popularity of Dual SIM technology increases with more and more smartphone manufacturers incorporating this feature within their range of phones, IoTAS has developed test plans to ensure your Dual SIM devices perform as designed within Live Network environments. 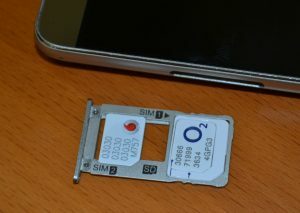 Dual SIM functionality offers so many benefits. 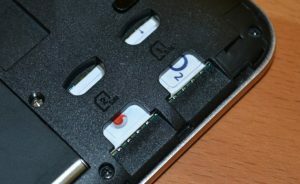 Dual SIM phones have the ability to access multiple Operator Networks, maximising geographical coverage and also offering separate number storage. They allow localised SIM ‘swap-ins’ (avoiding roaming changes when on business trips, holidays, etc.) and as they can act as both a business and personal phone, the possibility of owning a Dual SIM phone is an attractive one. This technology has had a chequered history with early release handsets proving awkward and unreliable to use, but Dual SIM phones are now mainstream with high quality, reliable ‘branded’ and ‘open-market’ devices available in the market place. And as their market share increases and their use becomes more commonplace it is even more important that devices in development have their functionality and performance tested in ‘live’ scenarios and to the highest standards. Leveraging upon our wealth of knowledge and experience within this field, IoTAS have generated our own test plan, incorporating test scenarios ranging from functionality (alternating MO and MT CS calls between each SIM, etc.) to performance (relative FTP throughput in static/dynamic conditions, etc.) tests. Please contact us to find out how we can help you with your Dual SIM device testing. To discuss your Dual SIM device testing requirements please call IoTAS on +44 1223 810100 and learn how we can offer GCF certified testing programs or bespoke confidence testing solutions to help make your product better.